Rejuvenate and refresh with oxygen therapy! Oxygen water therapy allows the skins impurities to be released into the water instead of getting trapped in layers of the skin. Oxygen therapy has many benefits including, but not limited to, increased hydration, reduction of fine lines and wrinkles, increased skin elasticity, deeper cleansing of pores, removal of impurities, and reduction of inflammation. To increase circulation and anti-aging benefits of oxygen and water, use steam. Regularly applying steam from warm water to the face allows your pores to open up, increases blood flow, and aids in dead skin removal making the skin appear fresher and younger looking. PDC Spas offers Air’Assage, a bubbler that brings in outside air introducing more oxygen into the hot tubs warm relaxing water. With PDC Spas you can de-stress your life in your own home while giving your skin the much needed benefits of oxygen. 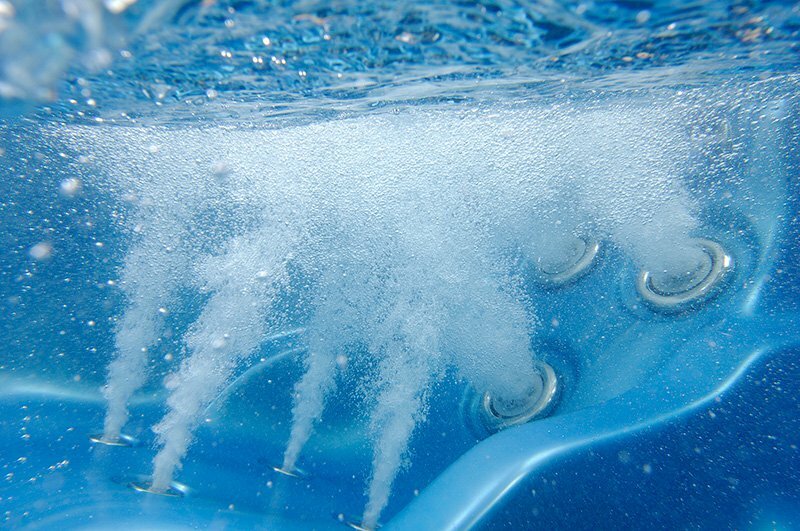 Learn more about Air’Assage, a feature that only comes on a PDC Spas hot tub! Sit back, relax and let the steam surround your face rejuvenating your skin. Feel refreshed on the inside and out with a PDC Spas hot tub.